Here at Mommy Digger we’re giving away a PacaPod Baby Bag! 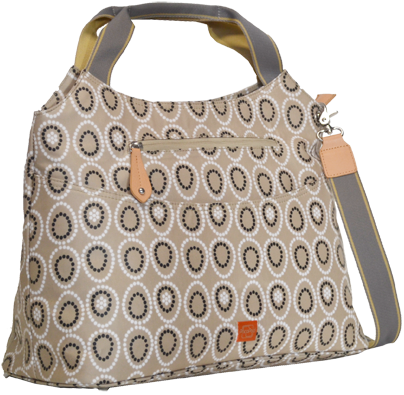 PacaPod is an award winning baby changing bag with a unique 3 in 1 system that will keep you organized when you need it most. Your PacaPod is a bag you simply can’t help falling in love with, a designer bag, baby bag, cool bag and changing mat all rolled into one with so many well thought out features you’ll be in awe of it for years to come. Not only are they SUPER organized but they are very stylish, I’m going to use mine as an all-in-one diaper bag and purse. They are already popular in Europe and now they are coming to the U.S.! Stay tuned for my full review! We’re also giving mom some some piece of mind that your baby is sleeping safe and cozy! One of my favorite baby items…. a HALO SleepSack! The HALO SleepSack is a wearable blanket for babies from birth up to 24 months. One lucky winner will receive a HALO Cotton Cable Sweater Knit SleepSack® Wearable Blanket. Check out my full review here. I like the Picos Pack. I like the 100% Cotton Sleep Sack Swaddle. Sensitive Skin Sleepwear Two-Piece Set: Silky blue pup pals. I like the SleepSack Wearable Blanket in Lime Animal Friends. I like the Sequoia bag in Mink. I like the HALO ComfortLuxe Sensitive Skin Sleepwear. I like the Oban bag. I would love to have the 2 piece comfortluxe sensitive skin sleepwear. I won – I can’t wait this will be awesome for my daughter and new granddaughter, she was 10 weeks early so she can use all the help she can get. Thank you so much and please thank Pacapod and Halo this is wonderful!!! I found out I won and called my daughter to let her know – she is super excited. Thanks so much and also to your great sponsors. Congratulations again Laura! She’s going to love each of them I’m sure!